When the Ummah is tested: Causes & Solutions By: Mufti Muhammad Fārūq Meeruti (Rahimahullah) “Verily Allah does not change the condition of a people unless they change it themselves.” (Qur’an 13:11) The Muslim is daily faced by a host of new problems and difficulties. Their lives, property and self-respect is trampled upon and worse than that, their religious matters are tampered and interfered with, their Masjids are under constant threat and are disallowed proper implementation of their Islamic law. Our Blindness Despite this, the Muslim considers these to be chance occurrences or mere coincidences, thus never pausing to even consider the actual cause and reason behind this suffering. At the most, a few concerned souls, who are momentarily stirred by this state of affairs, call up some fancy conference, pass a few vague resolutions and disappear back into oblivion, contented that they have fulfilled their duties towards Islam. The Diagnosis A dire need exists for us to study the Qur’an and Hadith and thereby realize the primary cause for our disgrace and downfall. It is an undisputed axiom of reality that no incident occurs in this universe accidentally. Allah and His Messenger Sallallahu Alayhi wa Sallam have explained to us in the Qur’an and Hadith: “And whatever calamity befalls you, it is due to your own doings and Allah forgives many of your shortcomings.” (Qur’an 42:30) “Corruption has spread on water and land due to the doings of mankind in order that Allah make them taste the penalty of some of their doings. Perhaps they may retract (from their disobedience).” (Qur’an 30:41) Gratefulness Proper appreciation of Allah’s bounties is the correct utilization of these favours. To utilize life, health, faculties of sight, hearing, feeling, thinking, locomotion, finances, status and position, all for the pleasure of Allah and in accordance with His commandments is true appreciation of Allah’s bounties. The anti-thesis of this is ungratefulness, which invites the wrath and displeasure of Allah. Heavenly Blessings (Barakah) Adopting a life of Taqwa (piety) i.e. fulfilling all the commands of the Shariah and abstaining from the prohibitions is the cause of blessings descending from the heavens. “If the people of the locality had believed and adopted Taqwa (piety), We would have opened upon them the blessings of the heavens and the earth; but they denied and falsified, thus We seized them due to their actions.” (Qur’an, 7:96) The Consequences of Sin With regards to the verse, “And whatever calamity befalls you, it is due to your own doings.” (Qur’an 42:30), Rasulullah (Allah’s peace be upon him) explained the tafsīr of this verse to Hadrat Ali (may Allah’s be pleased with him) thus: “O Ali! whatever calamity befalls you: illness, affliction or any worldly calamity, it is the earning of your own hands.” Once Asmā bint Abi Bakr Radhiyallahu Anha experienced a headache. She exclaimed, “This is due to my sins.” (Durr al-Manthūr, Ibn Kathīr) Our Condition Let us now examine our lifestyles. Salaah, which has been described as the criterion between Imaan and Kufr (disbelief), how much does it feature in the life of the Muslims? How many adhere to the other basic requirements of Islam such as fasting, zakat, and hajj? On the other hand, consider the prohibitions of Islam, how many Muslims are engrossed in these day and night? How many have adopted these as part of their lifestyle? Liquor, Interest, Adultery, Bribery & Corruption, Disobedience to Parents, Enjoining Right and Forbidding Evil, Oppression and Injustice, Dishonouring the Ulama etc. are being perpetrated by Muslims on a daily basis. Our Example How cruel have we been upon ourselves that due to our sins we are constantly involving ourselves in disasters and calamities? At the same time, we continuously lament and wail away at our pathetic condition. Our example is like that of a person suffering from diarrhoea and yet continues to take laxatives, complaining all the time of diarrhoea. What could be said to such a fool? Oppressive Leaders In a similar way, today we complain about the oppression of our leaders, whereas these leaders have been appointed over us due to our transgressions. Rasulullah (Allah’s peace be upon him) said: Just as you (i.e. your actions) are, so will your rulers be. It is a popular adage: “Your actions are your rulers.” In other words, [based upon] your actions will your rulers treat you. This is the example of the Muslim Ummah. If we are disobedient to Allah, He appoints the weakest of nations upon us. They torture and oppress us most mercilessly. Our only salvation is by turning to Allah in sincere regret and repentance. Then no nation – not even the so called superpowers – will have the courage to stare at us! Time and again, we are crushed by disasters and calamities. Our laments, complaints, and wailing never end. Yet, when our shortcomings are pointed out to us, we remain totally indifferent and heedless. Never have we even attempted to bring about any reform within ourselves. Never have we attempted to avoid those destructive sins and crimes that are the direct sources of our misery and suffering. It is most astonishing that when an ordinary doctor warns of some epidemic, we are hasty to inoculate ourselves. Yet, when Allah and His Rasul (Allah’s peace be upon him) are consistently guiding us towards our success and warning us against our destruction (with the greatest of concern and sincerity) we remain totally unmoved and heedless, and we plunge headlong into those very pitfalls of destruction. Our only road to success and glory is total obedience to Allah and His Rasul (Allah’s peace be upon him) and following step-by-step the path tread by our pious predecessors. Question: If a lady has a miscarriage after 7 weeks and then bleeds after that, will it be regarded as Haidh or Istihaadah? Answer: In the Name of Allah, the Most Gracious, the Most Merciful. 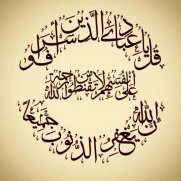 As-salāmu ‘alaykum wa-rahmatullāhi wa-barakātuh. There are three principles and rulings of miscarriage: 1) If the miscarried fetus has any human features such as finger, hand, hair, etc., then the bleeding after the miscarriage is lochia (nifaas). 2) The bleeding after a miscarried embryo (i.e. the stage before any discernible human features) is not lochia (nifaas). 3) If the embryo has no discernible human features, then the bleeding before or after the miscarriage is haidh (menstruation) if it continues for at least 3 days (72 hours) and is preceded by a complete tuhr. If the bleeding is lesser than 3 days or it is before 15 days from the last haidh, then it is Istihadha. And Allah Ta’āla Knows Best Mirza Mahmood Baig Student Darul Iftaa KSA Checked and Approved by, Mufti Ebrahim Desai. A miser was on his death bed. He told his wife to put all his money in a box and bury it with him. She promised him she would. Soon after that he died. At the funeral her friend asked her if she had done as she had promised. She said yes she had and her friend looked very shocked. She smiled and said, "I deposited all the money in the bank, wrote him a cheque and put it in the box. If he can cash the cheque, he can have the money!"